Could disease be driving extinctions of Australian mammals? Brush-tailed bettong -- a critter we don't want to lose. One third of all mammal extinctions worldwide have occurred in Australia. Here, 24 mammal species have been wiped out since European arrival -- and that number is still rising. Loss of habitat, altered fire regimes, and predation by feral cats are all implicated in the recent mammal declines. The role of disease, however, is an understudied but likely contributing factor. Disease can be deadly for wildlife. For instance, facial tumor disease is rapidly killing off populations of the Tasmanian Devil. Trypanosomiasis, introduced by black rats brought by sailing ships, drove the demise of two native species of rainforest rats on Christmas Island, in the Indian Ocean. Tasmanian Devil with facial tumors -- not a pleasant way to go. 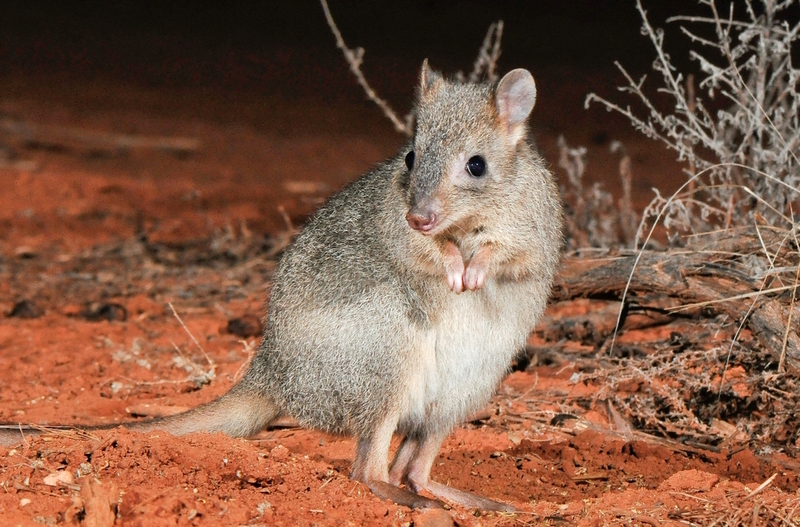 Now key populations of the Northern Bettong, an attractive wallaby-like animal endemic to north Queensland, is crashing possibly to extinction. And just this week, endangered Saiga antelopes in Uzbekistan in Asia were reported to have suddenly collapsed, due to the combined effects of climate change and normally harmless bacteria that have evidently become lethal pathogens to the stressed animals. Saiga Antelope -- another victim of catastrophic disease? We and colleagues have formed a multi-disciplinary group to tackle these declines. We call ourselves the North Australia Wildlife Decline Disease Investigators. Our acronym, NAWDDI, rhymes with "naughty". Our group combines top wildlife ecologists and experts in wildlife disease, including one of the world’s leading experts in wildlife pathogens, Dr Peter Daszak, Director of the EcoHealth Alliance. NAWDDI is being guided by hard-won lessons learned from the front line of the battle to save imperiled species. One example is the Brush-tailed Bettong. Thought to be secure in southwestern Australia, 90 percent of its population has vanished alarmingly over the last decade. Valiant attempts to understand and halt its decline are providing valuable new insights for conservationists. NAWDDI is working on a variety of fronts -- from advising on global policy to developing field protocols to make disease investigation a standard practice in researching declines of wild populations. Disease must be considered early as a potential cause of the rapid and severe mammal declines in northern Australia. We know that virulent pathogens have caused widespread extinctions or declines of many species worldwide -- from frogs, to Hawaiian birds, to African ungulates and apes, to North American bats. Pathogens such as the chytrid fungus have driven at least 200 frog species to extinction. Early detection saves money and time -- and could help us avoid the anguish of having to watch helplessly as charismatic mammals like the Brush-tailed Bettong follow the path of three of its sister species to extinction.